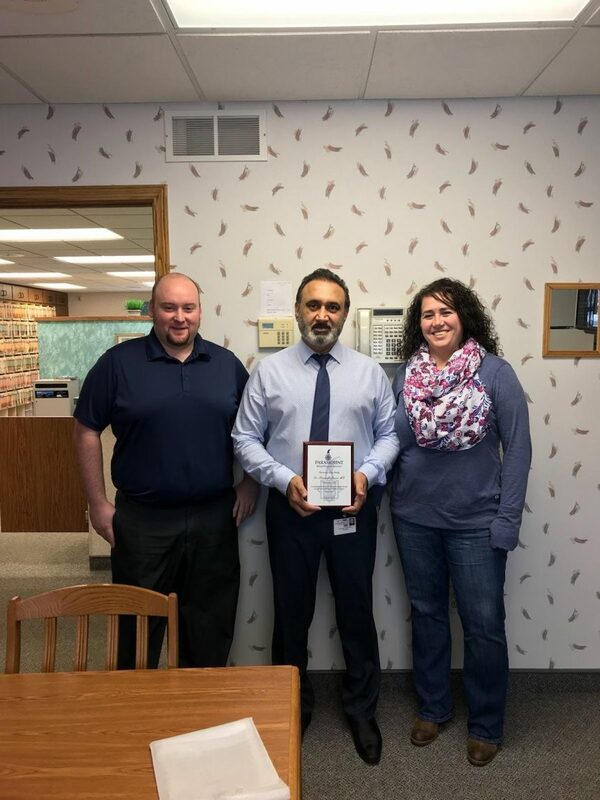 Congratulations to Dr. Parminder Jaswal who was nominated by our patients and staff members for the November 2018 Physician of the Month. He was chosen due to his dedication to promoting therapy as a means of recovery for his patients. Patients chose him due to his caring, thorough nature in treating their concerns. Patients stated that his office staff were also very helpful at following up with their concerns and needs. We appreciate his dedication to their recovery process and his utilization of therapy as a means of recovery. This month we salute Dr. Jaswal for exemplifying the qualities of an excellent physician and we are privileged to service the patients of Dr. Jaswal.